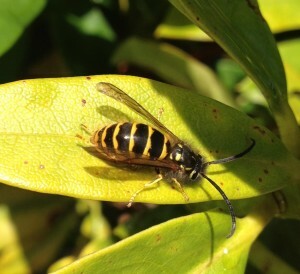 Home > Pest Control News > Bournemouth > WASPS ARE VERY CLEVER! 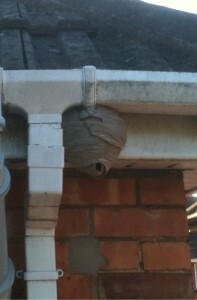 The wasp season is certainly upon us and it is VERY busy! 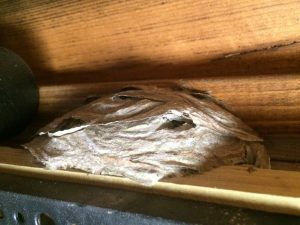 When selecting a nest site, the queen wasp can be very inventive and take advantage of whatever locations take her fancy. 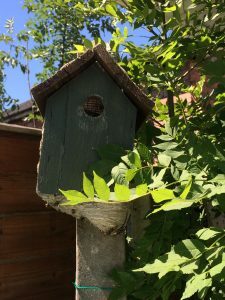 It might be where she has been hibernating over the winter in a cosy shed. 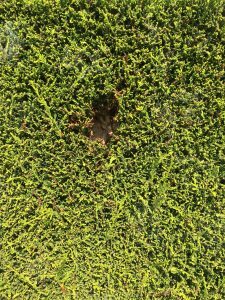 Where there is plenty of room to expand in a dry environment, perfect for producing more wasps. 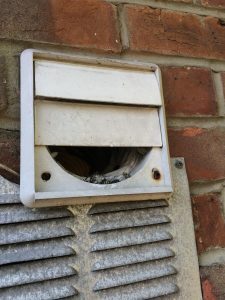 Outside may be a better option, how about under the eaves of a house ? 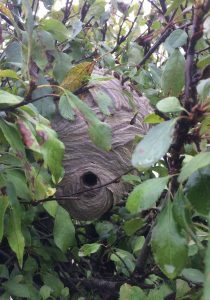 Or maybe putting a wasp nest in a shrub in the garden? Or how about building inside a hedge? 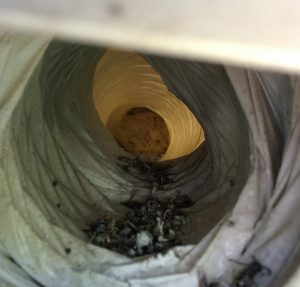 If the queen wasp is a little more adventurous and likes to explore, where better for wasps to build in a very sheltered spot out of harms way inside an extractor vent pipe. And finally, how about a purpose built property that can be extended when required?